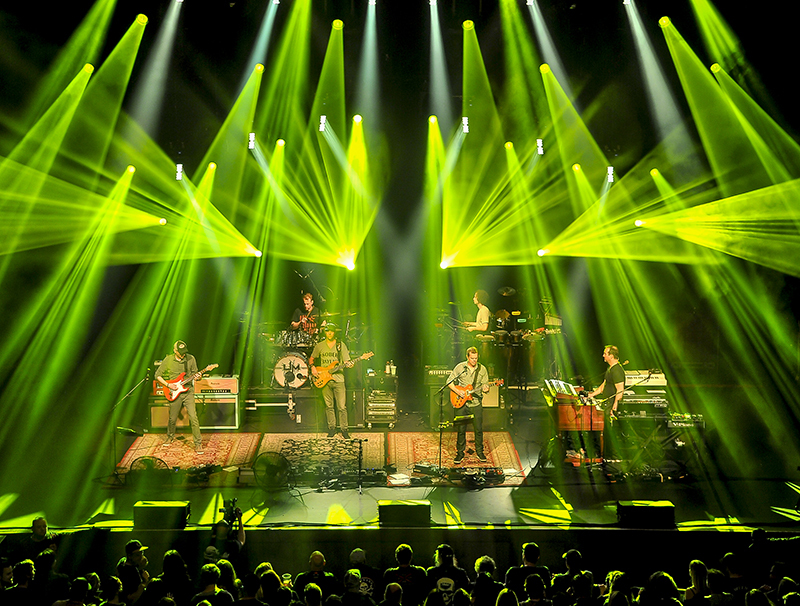 Umphrey’s McGee’s It’s Not Us tour — named after the band’s new studio release — is playing three-hour sets to sold-out houses. 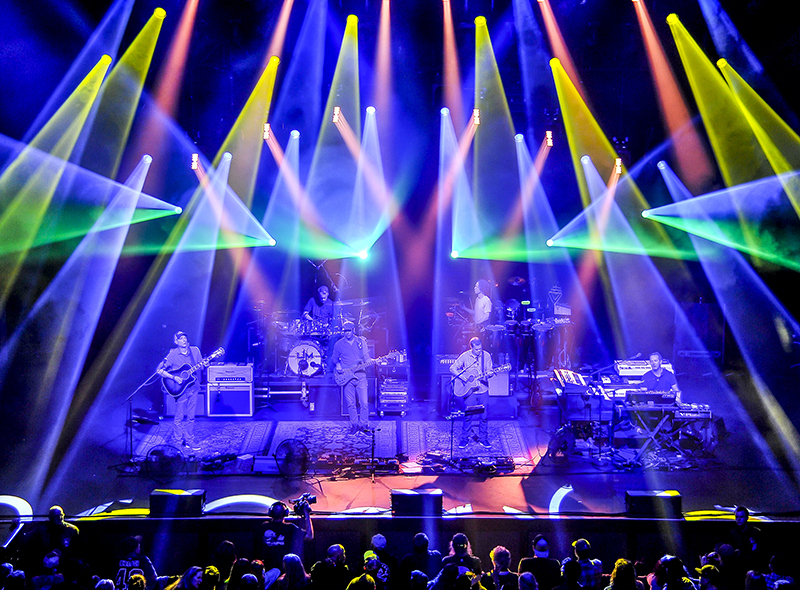 The Indiana-based jam band cover many musical styles and improvisation, so fans always get a unique and special experience every time. 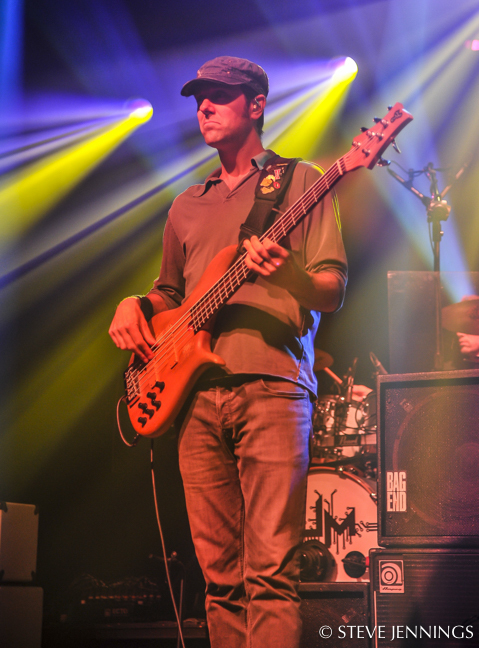 The six-piece ensemble consists of Brendan Bayliss (vocals, guitar); keyboardist Joel Cummins; bassist Ryan Stasik; guitarist Jake Cinninger; drummer Kris Myers and percussionist Andy Farag. 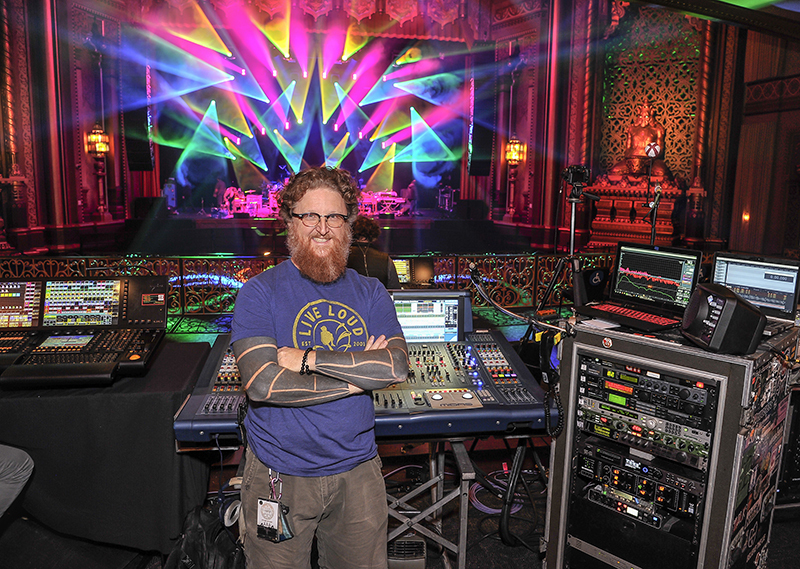 We spoke with the band’s engineers Chris Mitchell (FOH) and Bob Ston (monitors) about the tour when the band came though Northern California. 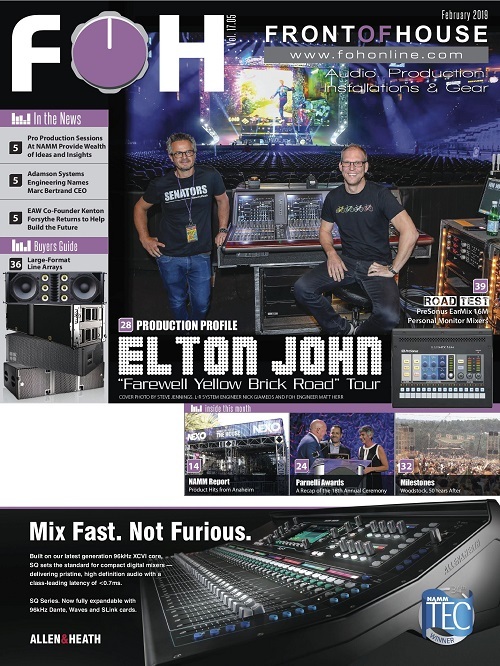 Both the FOH and monitor engineers are using Midas ProX consoles that are band-owned. Before that, Mitchell carried a Midas Pro9. 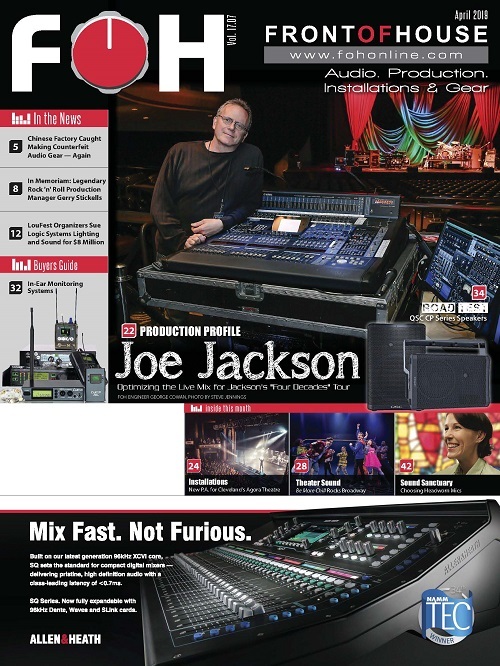 “The ProX is a great console that has a mixing style based on the Midas analog consoles I learned to mix on. I’m a real big fan of the Midas summing bus. It sounds like no other. 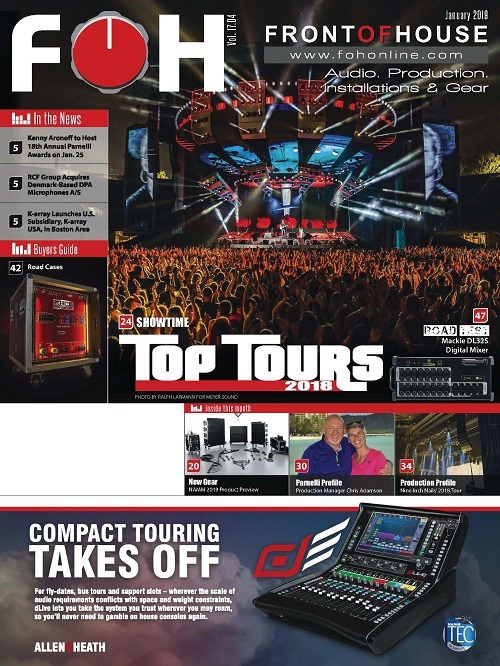 The ProX is powerful and stable with a big, open sound,” says Mitchell. 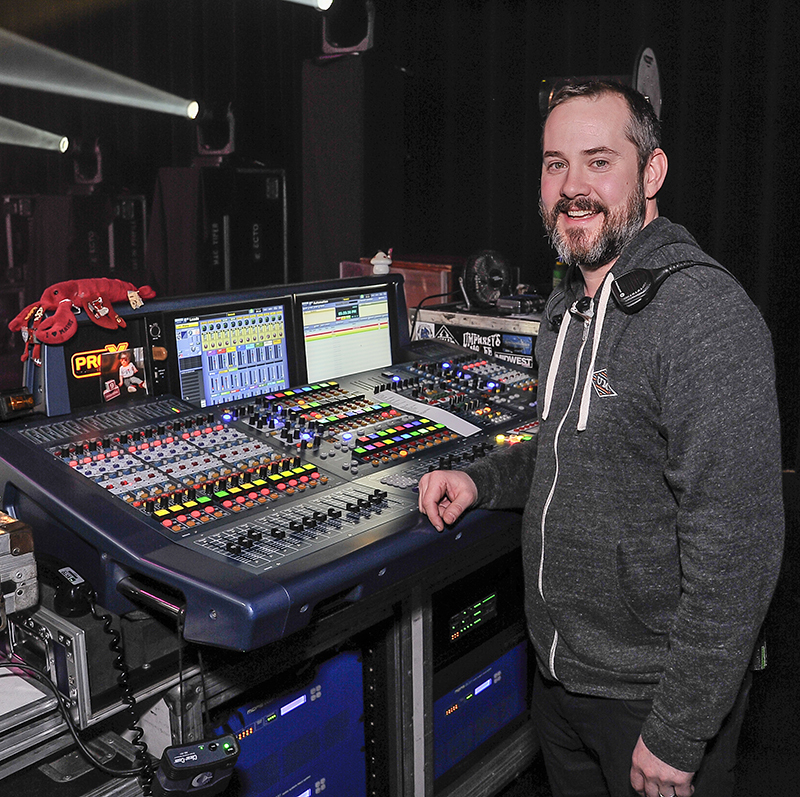 Bob Ston has been the band’s monitor engineer for the past 17 years, logging in over 1,800 shows with them. 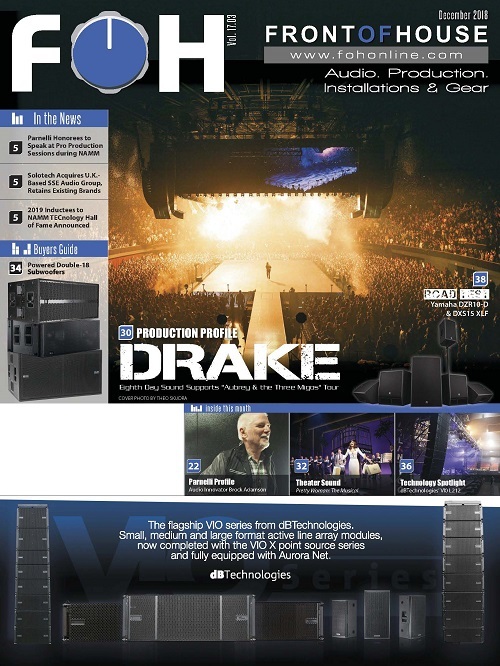 “The biggest change we’ve made was going to in-ear monitors in 2004. We started using a talkback system in 2005 — this allows the band to communicate with themselves and the crew at all times. They can shoot ideas off of each other in real time while rehearsing and performing without having to stop playing. 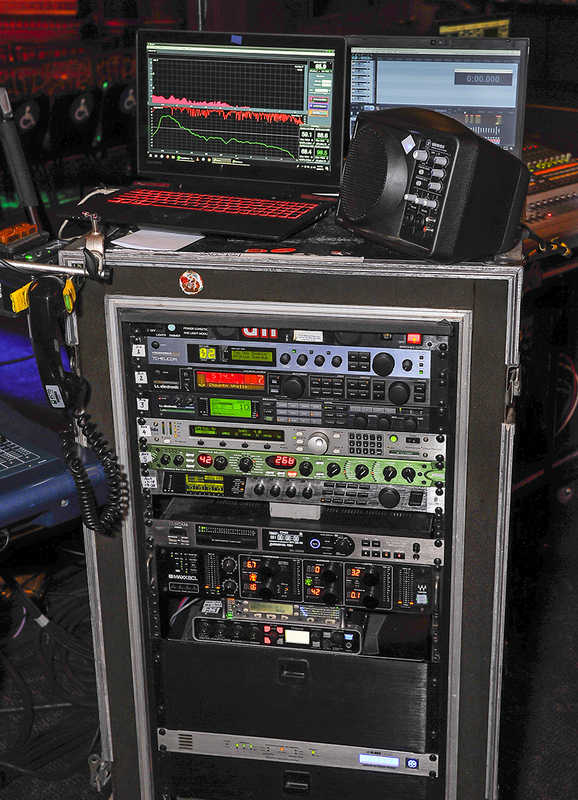 Monitor outboard rack gear consists of the Midas DL231 stageboxes to route his outputs, a Professional Wireless GX-8 antenna combiner, eight Sennheiser IEM transmitters, d&b D12 amps for his drum sub and guest wedges. 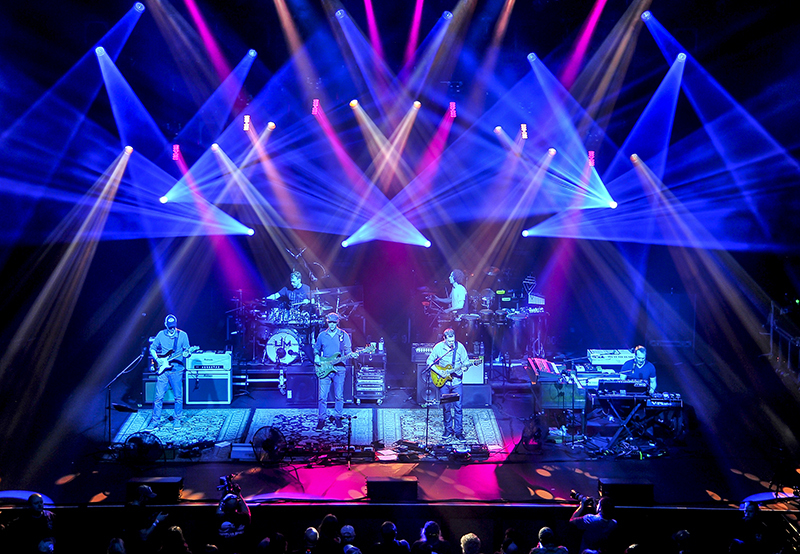 The band has partnered with Sensaphonics since 2004. “Their innovations along the way have helped the guys become so comfortable up on stage, hearing themselves and each other. Sensaphonics 3D active ambient in-ear system has been a game changer for Brendan, Ryan and Kris,” notes Ston. “Ryan and Kris were the first to switch over to the 3Ds. They both had issues with a natural representation and feel of the drums with molded in-ears. 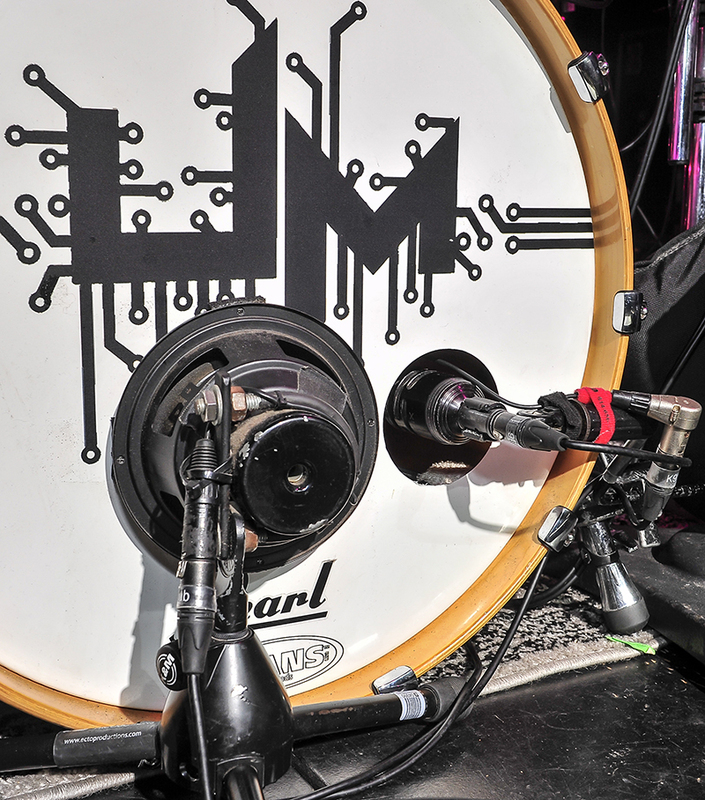 With the condenser mics right at their ears, they now control how much of the natural drum sound and vibe they are looking for, without having their ears exposed to the loud stage volume. 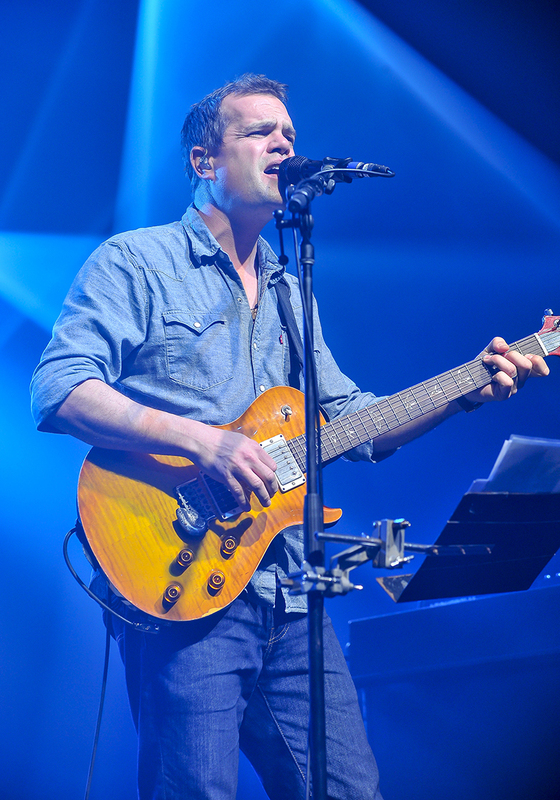 Guitarist Brendan Bayliss’s rig consists of a Mesa Lonestar Head played through a Hard Truckers 2 x12 cabinet with B&C 12HPL64 speakers, Earthworks SR25 microphone, Palmer PDI 09 DI and a Oldfield Club D’Lux Plus 2 x 12 with an Earthworks SR 25 mic and Palmer PDI 09 DI. His vocal mic is an EW SR40V. 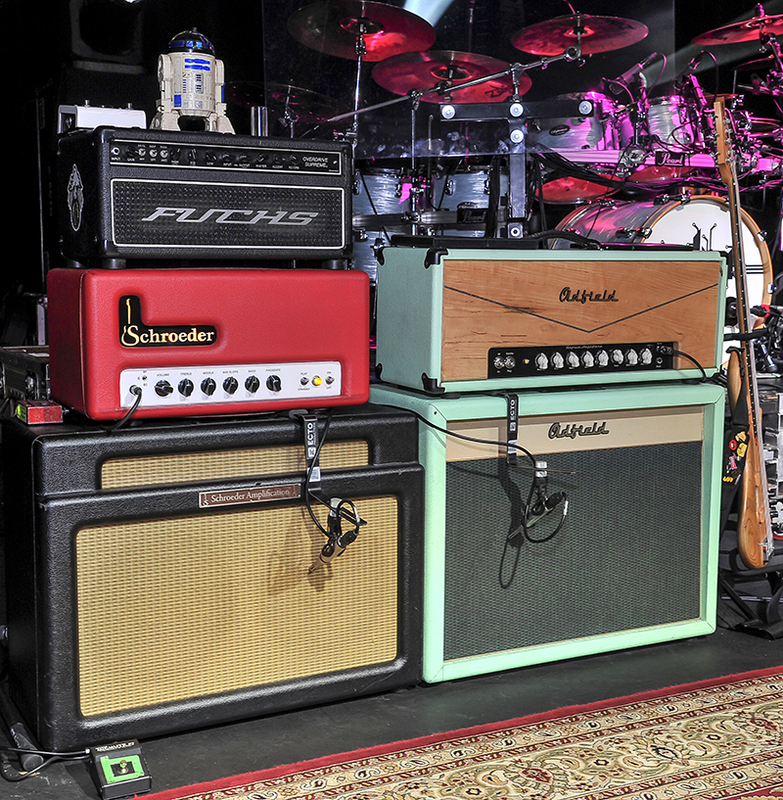 Guitar player Jake Cinninger’s rig is a Schroeder DB9 head and Schroeder 2 x 12 cabinet with Earthworks SR 25 mic, H&K Redbox MKiii DI, and Oldfield 100-JC Head and Oldfield 2 x 12 cabinet with a Earthworks SR 25 Mic and H&K Redbox MKiii DI. Fuchs Overdrive Supreme 100(spare). Vocal mic is a EW SR40V. 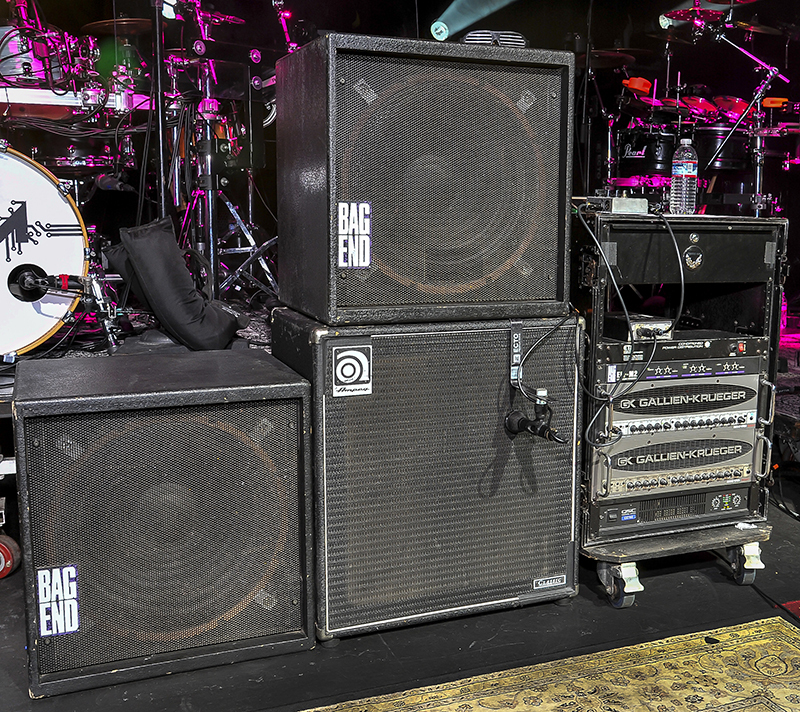 In bass player Ryan Stasik’s rig — amps are Gallien-Krueger 2001RB (powering the 4×10), QSC Powerlight (powering the subs); cabs are Ampeg 4×10 with B&C 10HPL64 speakers and two Bag End S18E single-18 subs, a Beyerdynamic M88 mic on 10-inch cab and a Demeter tube DI. 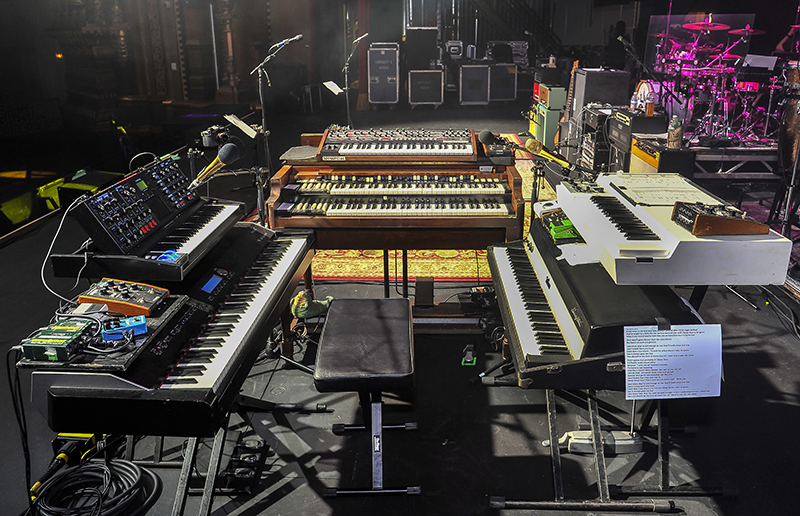 Keyboardist Joel Cummins plays a Roland V Piano, Moog Voyager, Dave Smith Prophet-6, Hammond B3 organ/Leslie 122, Mellotron M4000D and Fender Rhodes 73. Radial DI’s are on the Roland, Moog, Voyager and Prophet; Palmer PDI 09 on Rhodes, two vintage Sennheiser 409s on Leslie top and an Audix D6 on Leslie low. Cummins’ vocal mic is a gold-plated Telefunken M80. Mics on the kick are a Shure Beta 91A, Audix D6 and a Tang Band W6-1139 speaker (customized by Chris Mitchell). Mitchell uses the B91 and Tang Band speaker, Ston uses all three for different applications on stage. 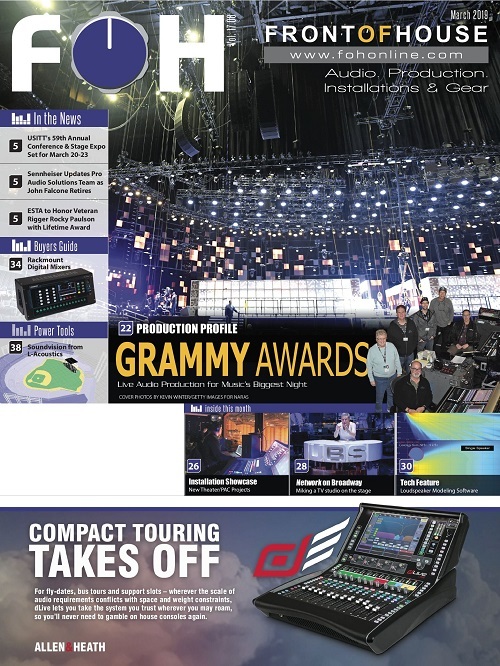 On snare top — Earthworks DP30C and Telefunken M80 (FOH uses DP 30/monitors M80). Snare bottom is a Telefunken M81, on Aux snare, a Telefunken M80. Toms are Earthworks DP30C and Telefunken M81 (FOH uses DP30s/monitors M81s). Floor toms are Audix D6. High-hat is the Audio-Technica ATM-450; ride an EW DM20; overheads are EW SR77s; with a Radial JPC 2 on the Roland SPD-SX sampled drum pad. His vocal mic is a Telefunken M81sh. 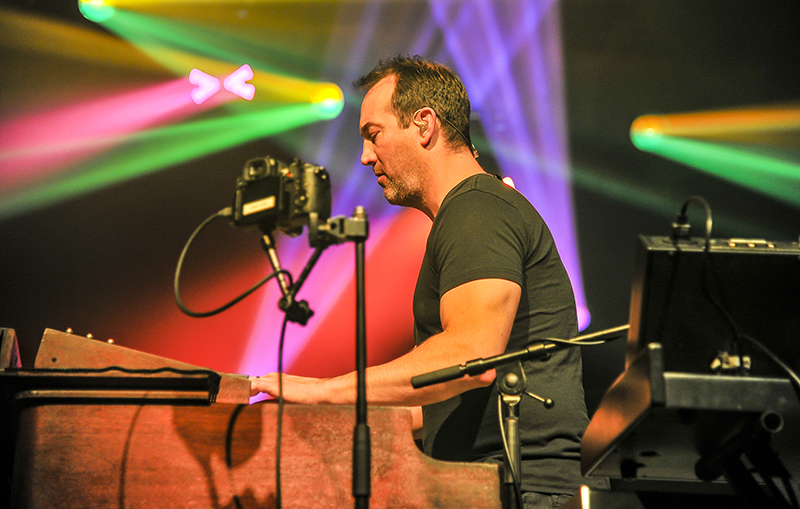 Percussionist Andy Farag’s rig consists of a conga, quinto, tumba and bongo — captured via an original version EW DP30C. 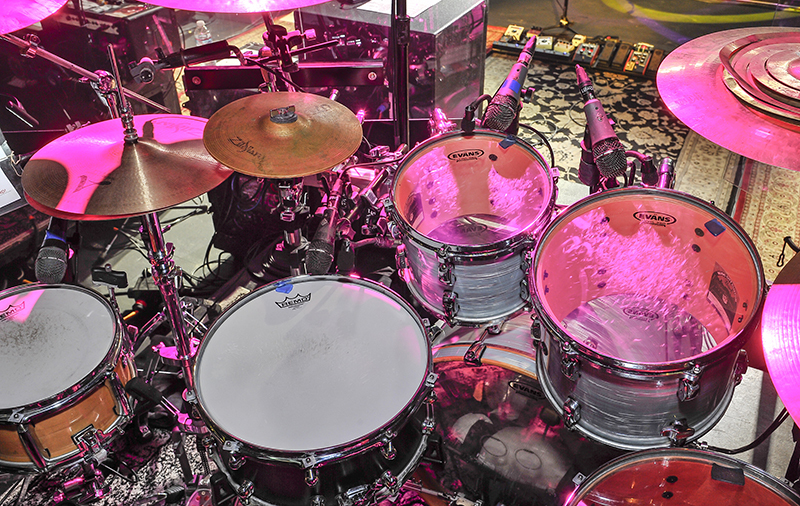 Overhead mics are three EW SR77s; rack toms are EW DP30C; floor tom, an Audio-Technica ATM-25 and an Audix D2 on quarter toms. A Radial JDI snags the output of an Akai MPC unit.